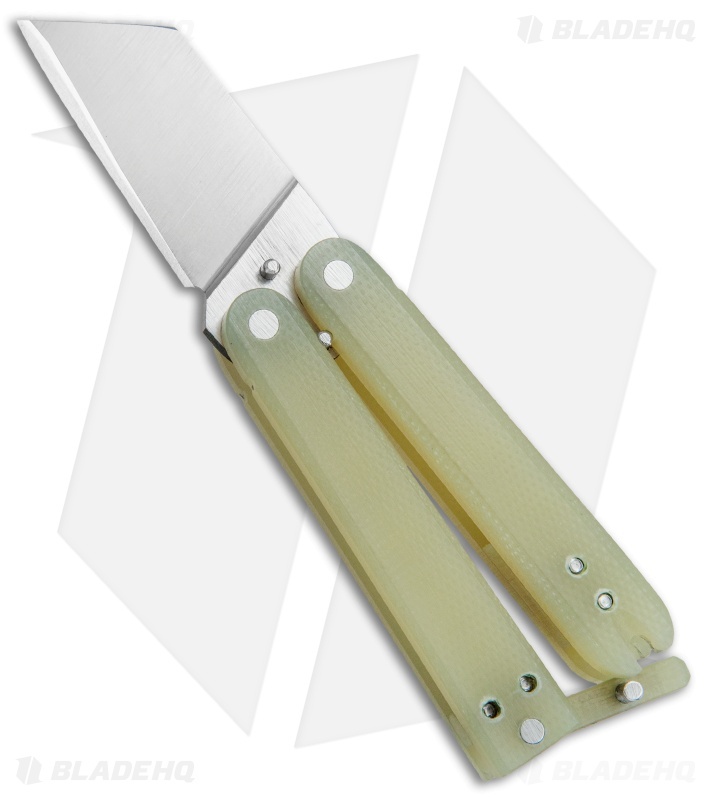 This Gremlin balisong was custom made for Blade HQ by Nathan Dewey. 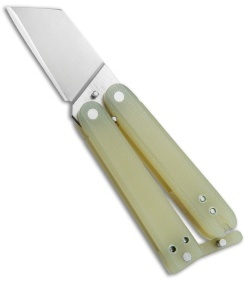 It has a satin finished 154CM stainless steel wharncliffe blade. 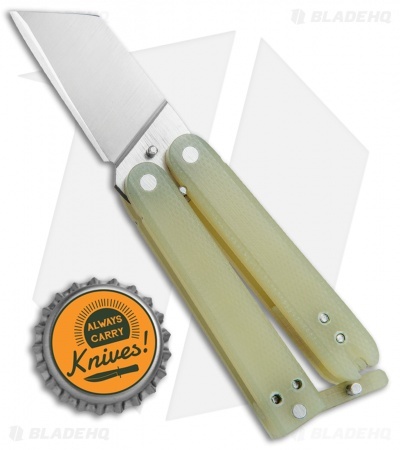 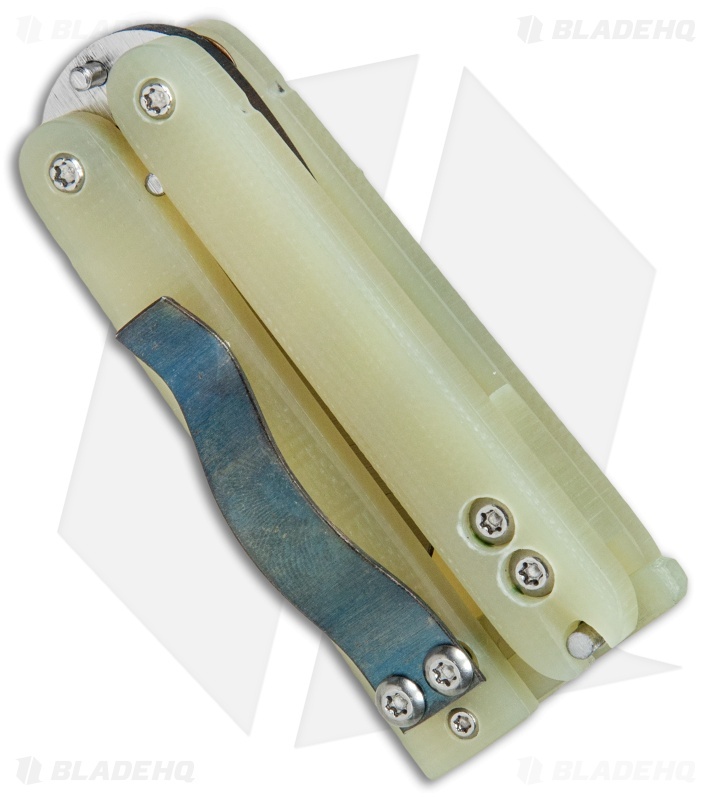 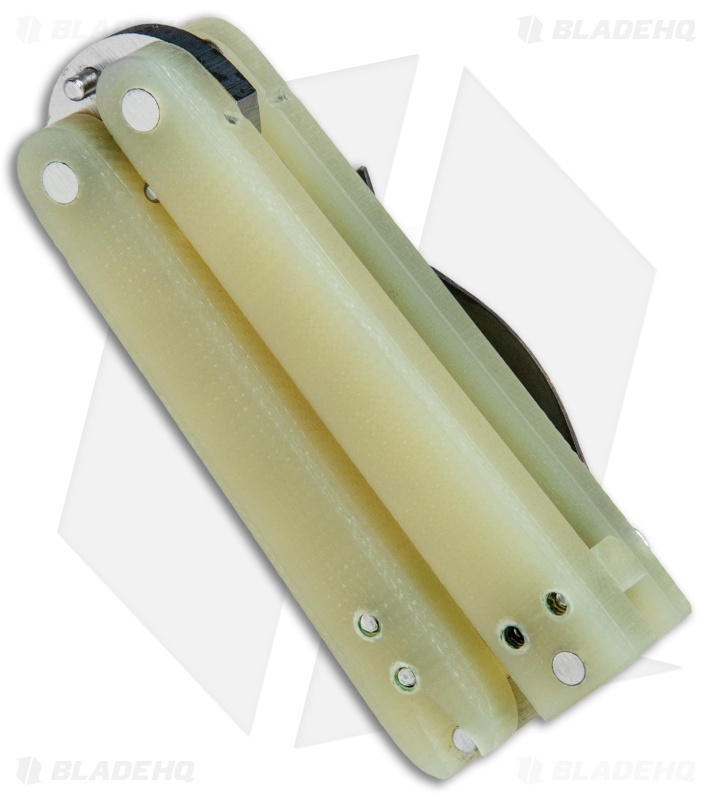 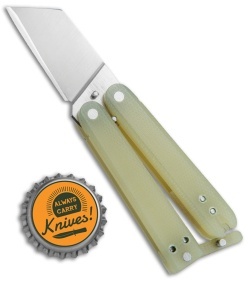 This compact butterfly knife has a jade G-10 handle and latch. 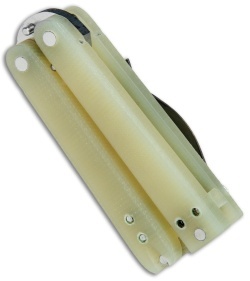 Includes a stainless steel pocket clip and spare hardware.